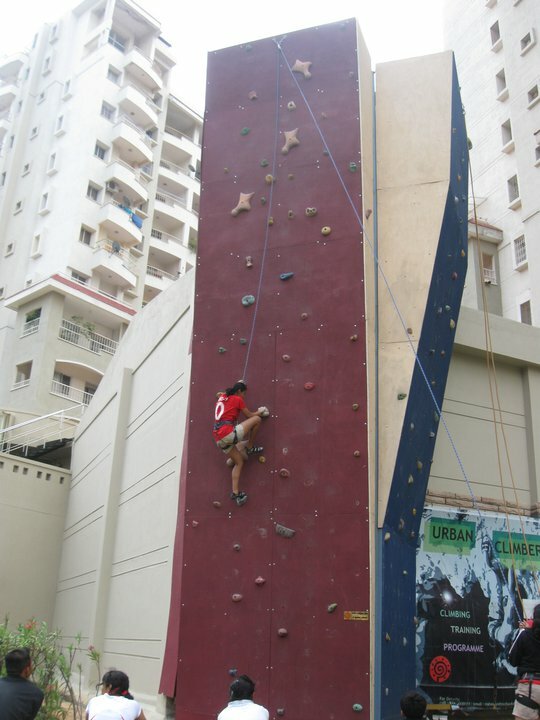 Here’s the story of Urban Climbers which makes adventure activities like wall climbing possible in urban settings. We are both avid adventurists. Having trekked, hiked, climbed in Indian Himalayas and the US, numerous road trips to lesser known destinations, we came back to India in early 2009. That is when we took a hard look at climbing and adventure industry in India. Given that wall-climbing is an exciting but relatively safe adventure sport, many people were interested but had no easy access to walls to climb on. This is where we ideated and our innovation was converting unused walls of buildings and malls into climbing walls by fitting the climbing structures on those walls. Having a back ground in climbing and being amateur climbers helped. We also tested the various options with structural engineers to ensure that the end result was 100% safe and reliable. This innovation helped us create adventure sports activities bang in the middle of urban spaces. Of course, this innovation helped us save on infrastructure costs as we were using existing walls of buildings. The next effort was to evolve a pool of trainers, for which we approached practising climbers from smaller towns and advanced mountaineering qualified hill people. We now have a trainer management programme that takes care of not just climbing needs but life skills like language skills and driving skills. We also developed a comprehensive standard operating procedures helped scale the safety barrier. We took the first prototype out in a apartment complex – a small market some might argue but we looked from a different lens – a captive audience of 2000 kids & 2000 adults that allowed us to test the concept and demonstrate to other buildings and malls that wall climbing was exciting for children and parents. And safe. How did the co founders come together : Marriage and a common love for the sport. The short journey so far has been full of new learnings just about every day. Doing everything yourself was the first challenge. Unlike a corporate job, there was no safety cushion or a network or resources to rely on. Coming from corporate backgrounds, this took a little time getting used to. Learning things way out of your comfort zone and realm of knowledge has been another challenge. Outputs come out of processes, input cycles – crunching those just gets your BP up. very nice! in fact being a climber of sorts and an adventure lover myself, i have been seriously thinking of starting a similar venture on the side of my 5 storey(60ft) building in Jalandhar, Punjab, and even got an expert to review the plan, however, am still unsure about the commercial viability of the project – will people be really interested? Can you provide guidance for the project? Previous Previous post: What value do angel investors bring to your company?